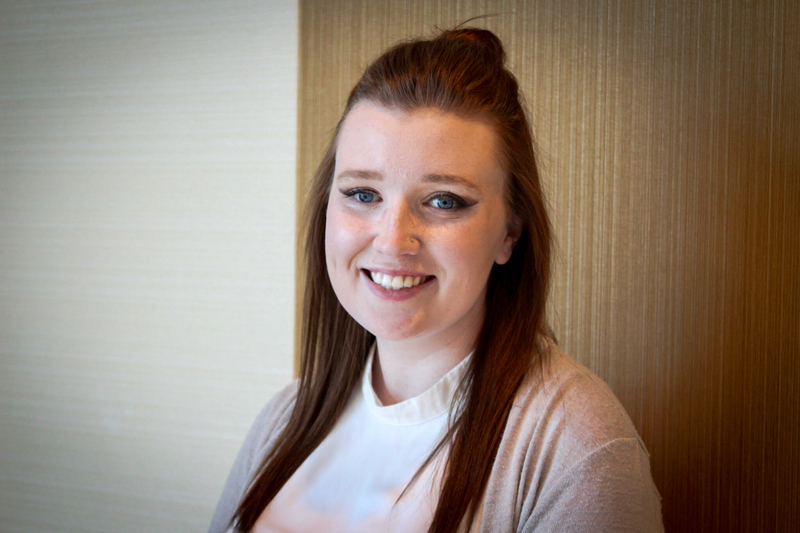 Earlier this month, Hillary Scanlon, a Wilfrid Laurier University student, achieved first place at the MEDAx conference pitch competition. This conference, which was affiliated with the larger Mennonite Economic Development Associates (MEDA) conference, took place in Indianapolis on Nov. 10. Scanlon, who is also Laurier’s first-ever Student Social Entrepreneur-in-Residence, received $5,000 for her pitch and the extended honour of being MEDAx’s first pitch competition winner. Scanlon was one of four finalists invited to the conference upon applying to pre-send her pitch to an audience and panel of judges. “I’ve been working on developing a social enterprise for the past year and a half now,” Scanlon said. Scanlon’s innovative product consists of tactile rubber floor mats to be placed in front of recycling and waste containers in public areas that make their detection easier for those with visual impairments. Each tile has a different raised outline of a shape according to the associated waste receptacle: recycling, garbage or composting. “Often people with visual impairments, we carry around our trash with us all day or we kind of just leave it where we are because it’s almost impossible to find a waste container — or once you get there, you still have the issue of trying to figure out how to sort it,” Scanlon added. “Social entrepreneurship comes under the umbrella of C3 Innovation Labs, [a new organization at Laurier] … C3 stands for campus, city and community,” Pries said. Her business, Sustainability Through an Inclusive Lens, was founded through engagement in Laurier’s social entrepreneurship option in the faculty of arts. This program is coordinated by assistant professor Edmund Pries, who also accompanied Scanlon to Indianapolis for the recent competition. MEDAx is a new edition to MEDA’s organization and is a separate conference for entrepreneurs and philanthropists 40 years of age and younger. “It’s very much a social entrepreneurship based organization that promotes … social entrepreneurial solutions in various parts of the world,” said Edmund Pries, professor and academic director of C3 Innovation Labs and Social Entrepreneurship coordinator. Scanlon has been the Student Social Entrepreneur-in-Residence since June and has been actively working on campus with peers and faculty. “Now I’m working with students that are taking SE400, which is the capstone course in social entrepreneurship,” Scanlon said. Scanlon’s business venture has just begun to take off. Sustainability Through an Inclusive Lens has secured more than $40,000 of funding and has begun with the manufacturing of prototypes.